The stereotype is that all redheads have a fiery temper... but that doesn't hold true for all redheads. 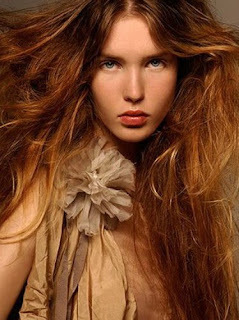 One of the most beautiful hair colors on earth is a natural redhead, too bad there are so little of them left in the world but thankfully we can create what seems to becoming a popular trend with variations of red hair. It is however a tricky shade and if you are not sure that it will suit you it’s best to get a professional option from a hairdresser which they should advise you that once you go red it is extremely hard to remove. 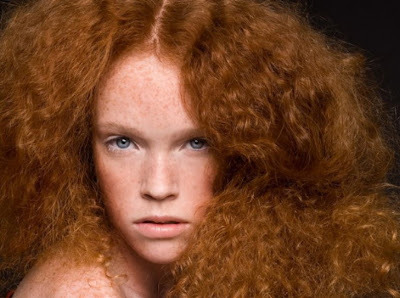 Although I believe there is a red shade of hair color that can suit almost anyone ranging from red-red to strawberry redheads and my favourite is when the individual has pale skin with freckles with blue or green eyes, truly beautiful. 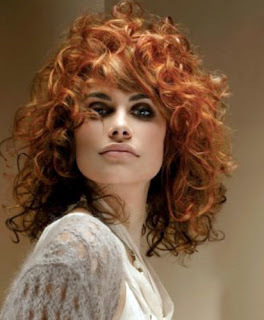 So before you or your stylist decide on going red you should know all there is to know about upkeep, fading, suitability and most importantly going red because you want to not because the trend tells us to. i agree the most beautiful reheads are the ones with pale skin and freckles and blue eyes, so beautiful! and just imagine there was a time that reheads were considered witches. pale skin, blue eyes and red hair perfect!!!!! my advise is don't change a blonde into a redhead, they always want to go back and it's a b...ch trying to. One of the earhths most beautiful natural hair colors and its not going too be around in the next 20 years, what a shame. Freckles and red hair Hot!